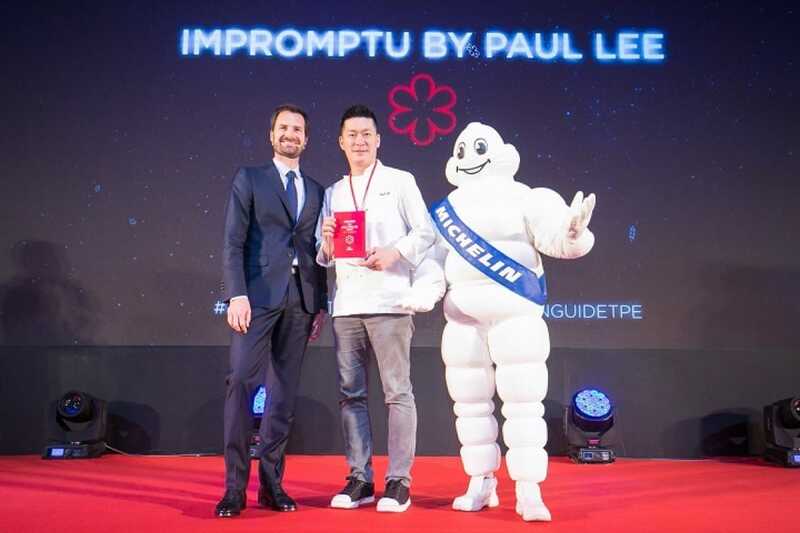 Though Impromptu by Paul Lee was opened only in August 2018, it only took about eight months to achieve a Michelin star in the MICHELIN Guide Taipei 2019 selection — a lauded feat in the Taiwanese gastronomy scene. The word “impromptu” denotes a sense of spontaneity. Chef-owner Paul Lee is Taiwanese but moved to the United States when he was 10 and started cooking with his grandmother. After graduating from Le Cordon Bleu in California, Lee cut his teeth at a slew of renowned restaurants like the now-defunct one-Michelin-starred Veritas, L’Atelier de Joël Robuchon in New York, Le Cirque in Las Vegas and California's Patina. When he first heard the word “impromptu” in college, he was immediately taken by it and it captured his imagination. He believed that a restaurant should not be limited by cuisine, technique or presentation and the word “impromptu” perfectly captured this sense of freedom. 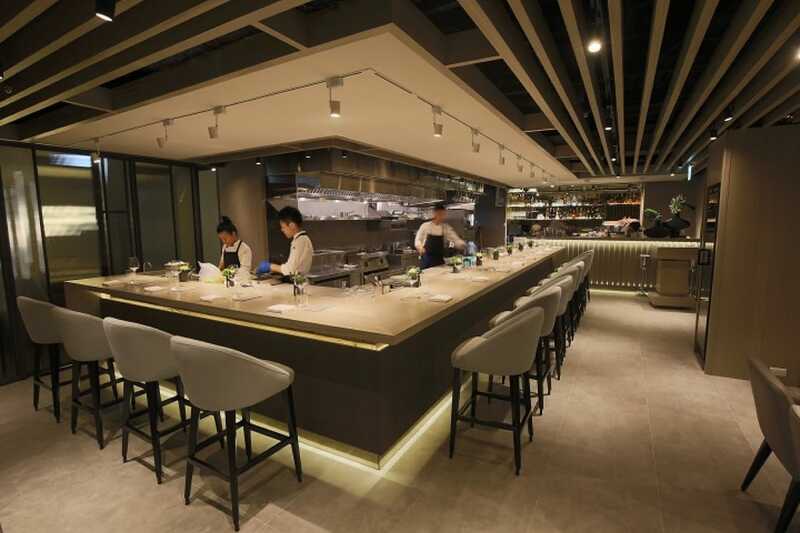 The dining room of Impromptu by Paul Lee is centred around the counter overlooking the open kitchen where chefs prepare the refined Western-style cuisine. No special privileges are required to see into the inner workings of the kitchen — in Lee’s restaurant, all are equal and everyone gets front row seats to the action. Whether it’s the chefs behind the counter accidentally spilling amaranth grains or puncturing an egg yolk, every frustrated sigh or satisfied smile is witnessed by the guests. In turn, every reaction from the diners is raw and immediate, whether it’s a nod and a compliment or them leaving behind food on the plate. In a space as intimate as this, there’s no room for hiding and it’s as authentic and open an experience as it gets. Lee’s creations always display a sense of liberation, a divergence from the traditional, whether in ingredients, techniques or flavour. He uses whey from yoghurt to add a unique acidity to dishes; his signature dessert of white chocolate bread pudding with nitro foie gras is an intriguing contrast of hot and cold, different textures and a balance of sweet and savoury flavours. He talks about what it felt like to receive a Michelin star for the first time. The first time I had contact with the MICHELIN Guide was when I was working for Joel Robuchon in Las Vegas. At that time, the restaurant had only been open for a short while when it received three Michelin stars. I met a lot of great colleagues there who were very talented and had a lot of experience. All of them are on their individual paths to success and they all played a huge role in inspiring me on my own journey as well. What was it like when your restaurant received a Michelin star for the first time? I was so happy. I’m not just a chef, but a business owner as well. There have been many people quietly supporting me in this whole journey in many aspects of the business, so I think the recognition belongs to the entire team and I want to extend my gratitude to them. I cracked open a few bottles of champagne to thank the team. How has the MICHELIN Guide impacted your career? I think winning a star will be helpful in uniting the team towards a common goal. What advice do you have for young chefs? I would advise them to find the path they want to take and, once the direction is clear, to not hesitate keep moving forward. This story is written by Chen Ching Yi and translated by Rachel Tan. Click here to read the original article.